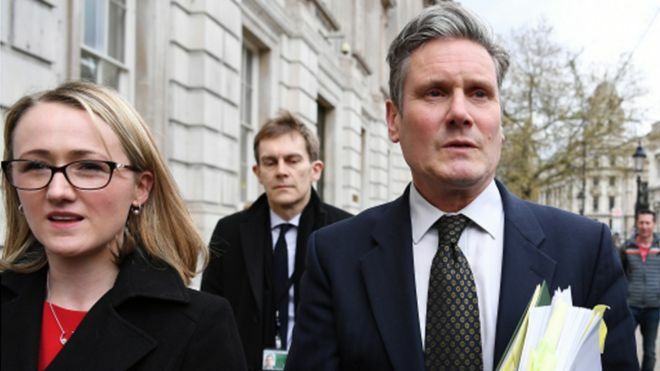 The second day of talks between Labour and the government have ended after four-and-a-half hours, with No10 saying that the meetings had been ‘detailed and productive.’ Labour had sent int the intellectual heights that are Rebecca Long-Bailey, Keir Starmer and the enigmatic Seumas Milne to push their ideas forward with Corbyn. May will have to give some ground away from her red lines on issues such as the Customs Union if she is to make any headway. Corbyn is under threat from those who want a second referendum on whatever deal comes back or is approved by the Commons.